I did, indeed, find the Overstock.com Elvis infographic interesting, and so I’m taking Mark up on his offer and reproducing it below. Artistically, the above infographic is certainly appealing. And, as an Elvis fan, I certainly appreciate and believe Presley deserves any positive recognition he receives during that time of year when we mark the anniversary of his death. 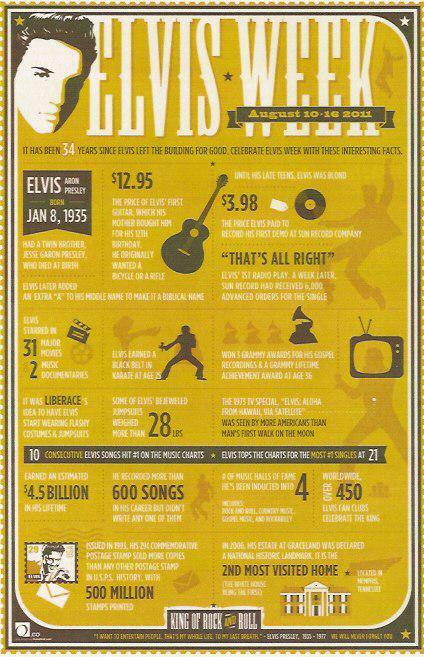 At the heart of the graphic, though, is the list of Elvis trivia it contains. A group of sources for the trivia list was provided below the graphic. 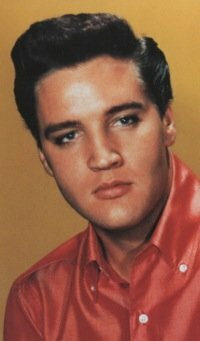 It included Elvis.com, Scotty Moore’s website, Factoidz.com, Imdb.com, Oldies.about.com, and Wikipedia.org. For its infographic, however, Overstock.com also borrowed heavily from an article entitled, “Elvis: 30 Weird and Wonderful Facts,” which was posted on the Belfast Telegraph’s UK website in 2007. Since author Ed Ceaser provided absolutely no sources for his “30 Weird and Wonderful Facts,” the infographic above is a perfect example of one of my pet peeves about Elvis and the internet—dubious information posted on the net eventually earns unwarranted credibility when picked up by a legitimate website, in this case Overstock.com. Let’s take a look, then, at some of the Elvis trivia that Overstock.com used in its infographic and see if we can separate the facts from the urban legends. 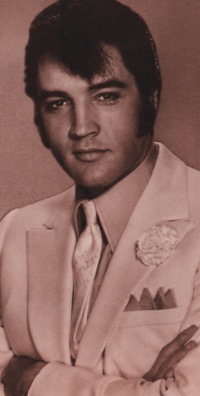 • Elvis starred in 31 major movies and 2 music documentaries. Generally true, although the 2 music documentaries were also “major” movies. Perhaps noting that Elvis “starred in 31 theatrical movies and 2 music documentaries” would have been a better choice of words. • He recorded more than 600 songs in his career but didn’t write any one of them. • Elvis later added an extra “A” to his middle name to make it a biblical name. • It was Liberace’s idea to have Elvis start wearing flashy costumes and jumpsuits. Overstock was right to question the truth of this one. I’ve never read or heard anywhere that Liberace had anything to do with Elvis’s jumpsuits in the seventies. However, the gold suit that Liberace was wearing when Elvis caught his act in Vegas in 1956 very probably gave the Colonel and Elvis the idea for the famous gold lamé suit that Elvis wore in 1957. • 10 consecutive Elvis songs hit #1 on the music charts – Elvis tops the charts for the most #1 singles at 21. To which “music charts” does this statement refer? Certainly not any of the major American charts, such as those in Billboard and Cashbox. The most consecutive #1 singles Elvis had on the “Hot 100” was 5, and the total number of #1s he had on Billboard’s singles chart was 14. • Until his late teens, Elvis was blond. • The 1973 TV special, “Elvis: Aloha from Hawaii, Via Satellite” was seen by more Americans than man’s first walk on the Moon. How anyone could actually make this statement with a straight face is beyond me. When Neil Armstrong first stepped on the moon on July 20, 1969, there were only three national TV networks, and all of them were broadcasting the moon walk. Every American who was watching TV that day was watching the moon walk. There was no other choice. Elvis’s 1973 “Aloha From Hawaii” special was broadcast on just one network, and Nielsen ratings make it clear that at least 140 million Americans were doing something other than watching Elvis’s special. At least Overstock.com didn’t repeat the often written but preposterous contention that 1.5 billion people (over 1/3rd of the world’s population) watched the “Aloha” special by satellite. Of course, the underlying claim in the above statement is that Elvis’s 1973 televised Hawaii concert was an event of greater historical significance than man’s first walk on the moon. I guess what really bothers me about such absurd notions being spread by otherwise well-meaning Elvis fans is that they deflect the focus from where it really should be—on Presley’s incredible accomplishments in the entertainment business. "The infographic acknowledged that some of the trivia in the graphic might not be completely true."